As a further note the Law Society of Upper Canada has decided not to oppose TWU’s appeal to the Supreme Court of Canada. We anticipate hearing soon of the Supreme Court’s decision to grant appeal in that case. 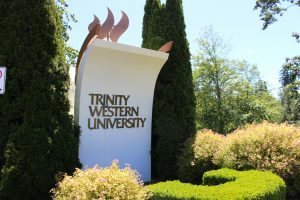 This continues to be a long legal road for TWU and religious communities across Canada who have been watching this development with great interest! Be sure to watch your email on November 1 for my full commentary of the BC Court of Appeal Decision. If you have not yet subscribed to this blog – now is a good time to do so. Just put your email in the box underneath my picture in the upper right corner of this page. Be sure to only put in your email address – if there is an extra space it will not accept your email address. Until next week stay tuned!